I've got a quick and easy tutorial for you on the May Arts blog today...We're adding fun and funky May Arts ribbon to fabric to create quick and easy gifts and slumber party fun! It's that time again...Time to say a fond farewell to the departing team members and a warm welcome to the new team for the May Arts Blog. 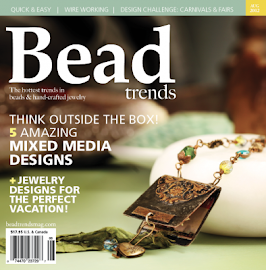 The Ribbon Lady is celebrating by giving away 3 chances to win May Arts New Releases. What do you have to do? 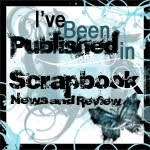 Just stop by the May Arts blog and say Hello! I love all your nautical projects. I use Xyron X cube & Tombow as well. as May Arts. Love your new ideas. TFS. 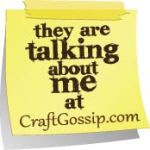 Ok, Sherry, you've got one week to contact me to receive one yard EACH of the those gorgeous May Arts Nautical ribbons! I've got a tutorial for you on the May Arts Blog today. Holiday gift giving time will soon be upon us so now is the perfect time to get started on some easy and practical gifts. Hop over to the May Arts blog to see what I made and thanks for joining us! Congratulations, Carla...you have one week to contact me with your mailing information. It's the most exciting time of the year! 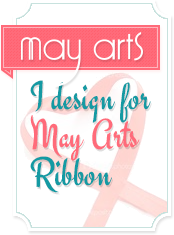 May Arts has released their new line of ribbons and they're something to behold! Each day this week, the Ribbonistas will be showcasing one of the new ribbons with various ways to use it. I'm first up this week so here we go! I got to play with May Arts new Nautical Satin Cut Outs. They're especially exciting because they were designed by student, Helga Gardner in a design collaboration with the Moore College of Art & Design. I decided to highlight the various ways these fun designs could be used by simply changing the adhesive used for application. Here are the adhesives I used: Xyron X cube, Tombow Mono-Multi, Tsukineko Glaz On, and Fabric Glue. These pretty gold compasses were attached to some shot glasses I got on clearance. I attached the ribbon with Tsukineko Glaz On. Perfect for use on a variety of surfaces including glass. I replaced the cord in this burlap bag with May Arts 3/8" Anchor and Star Grosgrain. I cut apart the cute anchors and sailboats then attached them with fabric glue. 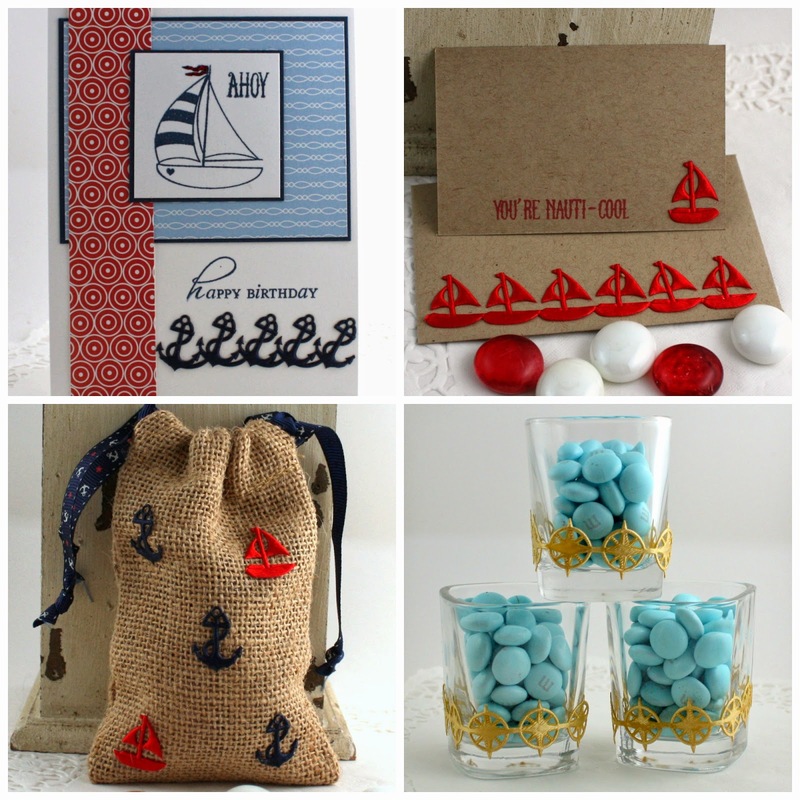 A gift card holder gets the nautical treatment with Tombow Mono Multi. And finally, I ran a length of these anchors through my Xyron X Cube for easy attachment on this birthday card. 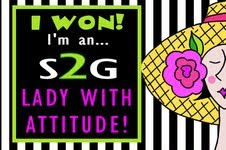 You know the Ribbon Lady loves to give away ribbon and this is no exception. If you'd like to win some of the new releases for your very own, just be sure to comment on May Arts blog and on each Ribbonista blog this week. To make things even more fun, I'll be giving away 1 yard of each of the Nautical Satin Cut Outs to one lucky commenter on MY BLOG. Just tell me how you'd like to use it. I'll pick one winner on Saturday at the end of the hop.